You are here \ South Africa Weddings \ Tie The Knot \ Wedding Tips & Advice \ An Exotic Wedding Location – But Is Your Marriage Legal? Nothing quite as romantic as getting married overseas – maybe somewhere like Italy or the south of France; an ideal elopement destination where you can spend the money you would have spent entertaining guests on honeymooning in a foreign clime, giving one’s new marriage the added boost of a romantic journey devoid of wedding day strain. To many this sounds like a romantic ideal. Certainly the gossip columns often report couples secretly running off to celebrate weddings with friends in locations other than their home countries. The latest is Jessica Biel and Justin Timberlake, who are reputed to marry in Italy shortly. But will their marriage be legal back in the US of A? 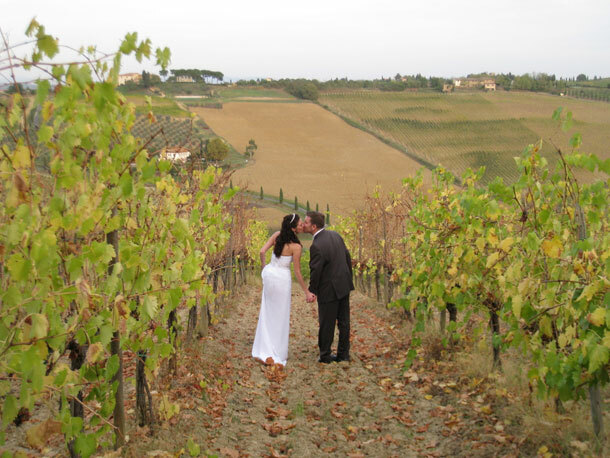 E-online reports that legally getting married in Italy is a bit of a nightmare. You have to get a marriage license in your country of residence first, then file further paperwork with Italian officials. And all this months in advance. Which puts paid to any idea of ‘running away’ to elope. But Italy is notorious for this sort of thing. Interestingly, if you marry outside of South Africa you may not necessarily be married according to the laws of that other country. According to legalcity.net, it will depend on your domicile (in other words, where you live). If you live in South Africa and you marry in France, your marriage is regarded as contracted in terms of South African laws. So whilst you may not legally be married in the eyes of French law, you will be legally married in South Africa. You will also probably have to satisfy the requirements of the country in which you will marry, so find out what documentation you will be expected to present. You can contact a local embassy to begin the process. My advice to you would be, even if an elopement sounds terrifically romantic and you’ve already picked your foreign city, do consider seeking legal advice first. Other legal websites suggest that marriages governed by the laws of other countries (which in theory your wedding is not because you live in South Africa) are automatically considered in community of property. An antenuptial contract is important, so you may want to query this before getting on an aeroplane.